Federation of African Medical Students’ Association (FAMSA) was not just an idea that was conceived of recent and brought to reality overnight. FAMSA is an association that was founded in the year 1968 due to the perceived need for a platform for African medical students to play a significant role in the improvement of the health of Africans, and to foster cooperation among medical students within Africa. FAMSA was founded to foster the spirit of friendship and cooperation among African medical students. Three countries (Nigeria, Uganda and Ghana) rose to the task of bringing FAMSA into reality. The vision of the association is to continue to be a strong network of medical students, constantly aware of global health issues and responding to contemporary questions facing the medical profession and global health with over twenty five member countries spanning across the various regions in Africa and partnership schools in Australia and Scotland. Her motto is “Towards the improvement of health in Africa”. She is working towards this through her forum for the discussion of topics related to health, education and medicine. It is a mechanism for medical students’ professional exchange and projects and remains a versatile advocacy body which sensitizes and redirects African governments’ policies towards the path to sustainable health and development. 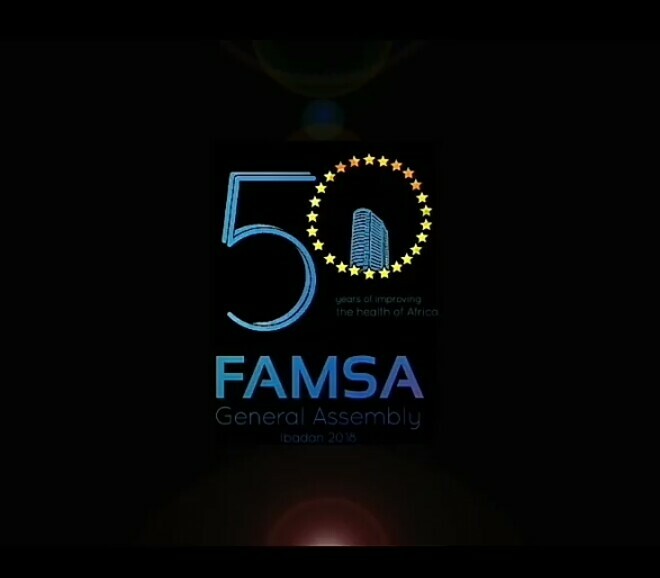 FAMSA at present consists of five organs of action, with the highest authority and policy making arm being the General Assembly. The general assembly is hosted annually in different countries for the past 31 years. 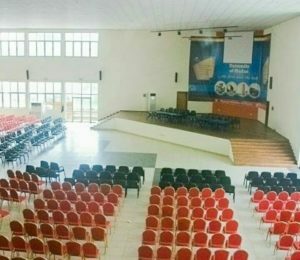 The 32nd General Assembly will be hosted in Ibadan, Nigeria where her permanent headquarters is located at the University College Hospital under the guardianship of the University of Ibadan Medical Students’ Association (UIMSA). The other organs of actions include the Permanent Headquarters, the Executive Council, the various Medical Students Associations across Africa, and the Standing Committees of the Federation. The General Assembly provides FAMSA the platform to discuss topical issues regarding healthcare in Africa, formulate workable and sustainable resolutions as well as elect new officials for the next Administrative year. The 32nd FAMSA General Assembly (FAMSA GA) and Scientific Conference will bring together young vibrant minds as well as professionals and relevant stakeholders in both the public and private sectors from across Africa and beyond to discuss ideas and initiate steps to position Africa on the path to sustainable development in health and by extension in every other sphere of human development. The conference will feature keynote addresses, plenary sessions, workshops, trainings, hackathon sessions, and scientific presentations on carefully selected subthemes all related and contributory to the goal of repositioning healthcare in Africa for Sustainable Development. The theme for the conference is Repositioning Healthcare in Africa for Sustainable Development. The conference has various subthemes which include: The African Medical Student and the SDGs: Where do we come in?, Medical Education in Africa: Curriculum, Research Inclusion and Mentorship, Maternal and Child Health in Africa: The Wages of Disconnect, The Burden of NCDs: Taking a Quantum Leap, Infectious Diseases in Africa: Are we Really Winning?, among other subthemes. The general assembly and scientific conference promises to host over 30 high-profile speakers from all over the African continent and the world at large. Speakers will represent: Industry Experts, Top Policymakers, Academicians, Researchers, Non-Governmental Organizations, Philanthropic Foundations, Consultants, African Leaders, Youth Organizations, Regional and Global Health Players. Speakers include: Dr Moeti Matshidiso (WHO Regional Director for Africa), Dr Tedros Ghebreyesus (Director-General of the World Health Organization), Prof Kayode Odusote (Chairman: Foundation for Sustainable Development) among other high-profile speakers. The conference is scheduled to hold in November 18th – 24th, 2018 at the International Conference Center, University of Ibadan, Ibadan, Nigeria.